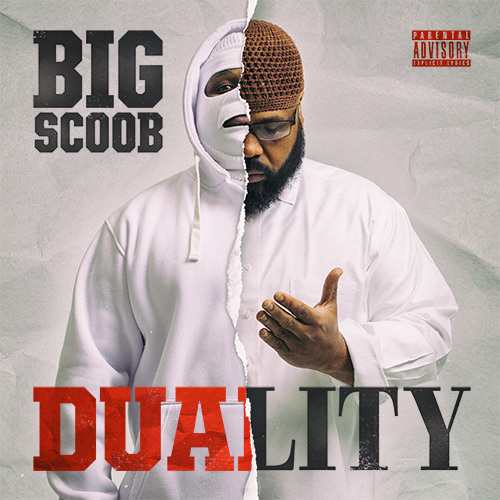 Big Scoob – DUALITY – Now Available For Pre-Order! 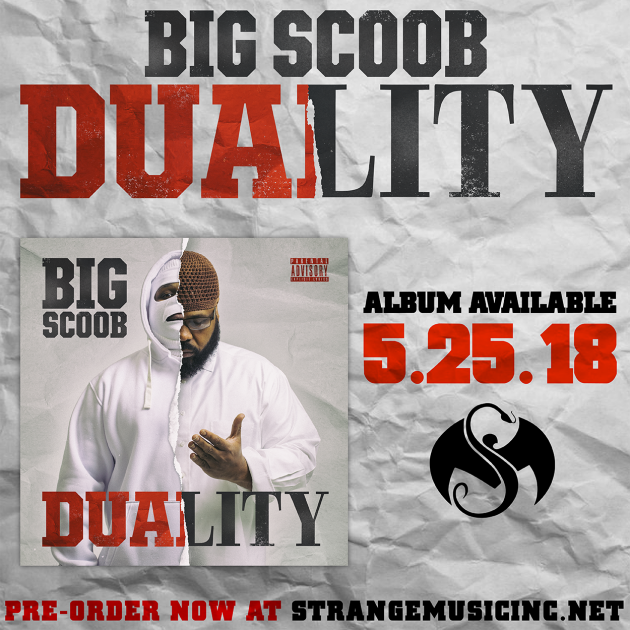 Big Scoob’s newest album, DUALITY, hits stores on 5/25, but here’s your chance to pre-order your copy. Scoob will be the first to tell you that he lives with 2 strong personas that are constantly at odds within him and DUALITY is the sonic manifestation of those personas. This album features a plethora of lyrical personalities, including Tech N9ne, Fat Joe, B-Legit, Mitchy Slick, Maez and others. With tracks like “Unbreakable”, “T.R.A.P. (Pack Gone)” and “On Me”, DUALITY walks the line between the conflicted sides of Big Scoob with an intensity and honesty that is rare. Click here to pre-order your copy of DUALITY and you’ll receive a signed copy of the CD, a Strange Music sticker, an exclusive mp3 download of the track “Harder” and a limited edition DUALITY preorder shirt (XL only).